As well as being known as Turkey's St Tropez, Turkbuku is famed for being the greenest village on the Bodrum Peninsula, as the area is surrounded by pines, olive trees and citrus trees, all contributing to a wonderful scent that will hit you as soon as you enter the town. Turkbuku is the perfect destination for keen fisherman, and there are many wooden jetties along the seafront. In fact, the village is famous for fishing and provides the majority of the peninsula with seafood. There is no beach in Turkbuku, but there is a boardwalk along the front packed with shops, restaurants, beach bars and sunbathing spots. It's a sheltered spot, and thanks to the hills behind, so it gets very hot here. Holidaymakers usually hole up in one of the beach bars and dip their toes into the water every now and again. 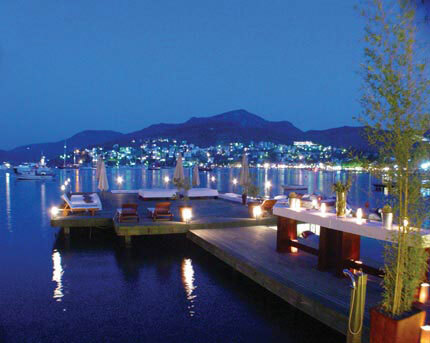 At night you'll find the boardwalk crammed with revellers enjoying the waterside restaurants and the cool sea breeze that comes off the water each evening. 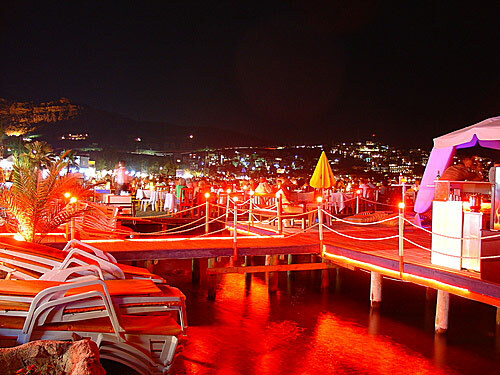 Despite being a favourite of Turkey's celebrities and upper crust, who own holiday homes here, (look out for Turkish popstars, models and professional athletes at the upmarket bars and eateries) Turkbuku is not a well known tourist area. However, thanks to word of mouth, the area is slowly becoming popular with overseas visitors. 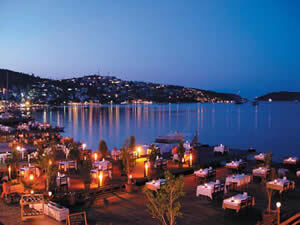 Sophisticated party town Turkbuku enjoys very hot summers - perfect for lazing around at a beach club. The winter season is short and rainy, and most of the annual rainfall allowance falls during this time.